Welcome to day 7 of 996 Appreciation Week. Yesterday’s cars, the 911 GT3 and GT3 RS, are the track ready cars of the 911 lineup. But what do you get when you want a track only car? You get the 911 GT3 R and GT3 RSR. Despite their track only status, these are not some tube frame cars with a 911 silhouette body, these are production 911s. By that I mean they were built on the same production line as your dentist’s 911 Turbo Cabrio. 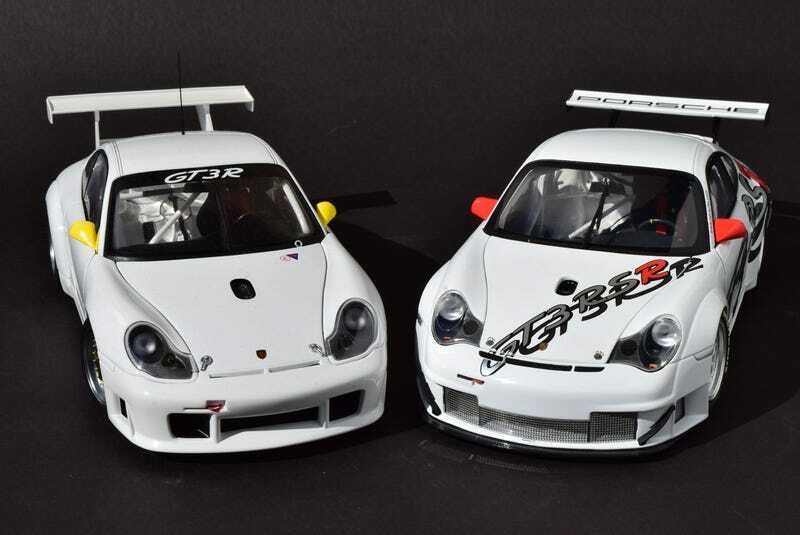 The GT3 R comes from AUTOart, and Minichamps makes their only 996 appearance with the GT3 RSR.